A freshing fragrance that reminds us the marine notes of the coastal town of Essaouira, mixed with Lemon, the Mandarin and the Cedarwood. 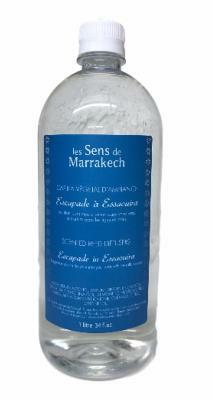 Refills for Les Sens de Marrakech diffusers allow you to reuse peacefully your beautiful bottle to make the most of your perfume. It is advisable to replace the rods with each filling. The dry rods can be re-used in drawers or cabinets to perfume linen. 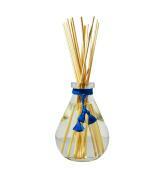 Pour the perfume into your vase, add the rattan stalks and let diffuse. For a more intense diffusion, turn the stems every day or every 2 days. Clean the vase with alcohol.